PUNE: “To recover from losses, we have shifted our focus from big corporate loans to retail loans, agriculture and home loans. The demand for these loans is consistently increasing. 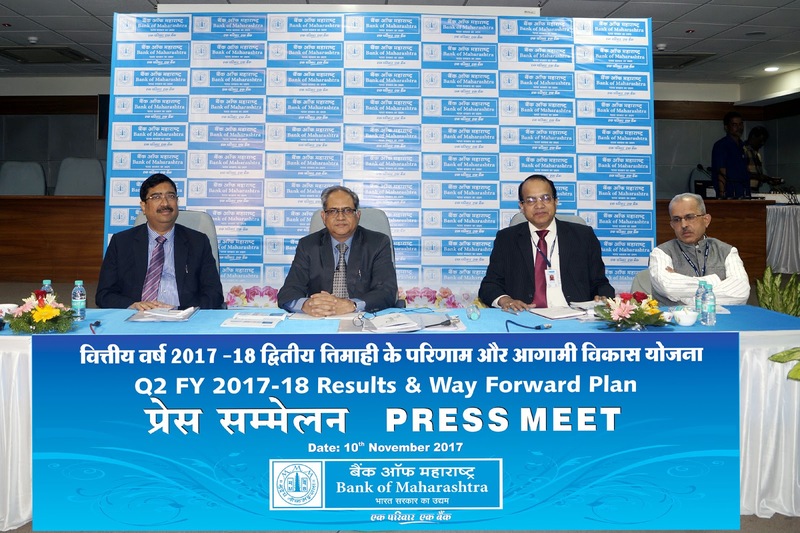 It will help us in our journey towards profit, said R. P. Marathe, MD and CEO, Bank of Maharashtra, adding that the Bank of Maharashtra is in the process of raising Rs. 400 crores through QIP route and bank has posted operating profit of Rs. 1225 crores in HY ending September2017. 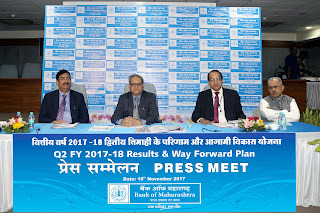 He was speaking while announcing financial results for quarter ended Sept 2017 along with R. K. Gupta, A. C. Raut, Executive Directors of the bank. Marathe added, “Bank of Maharashtra has showcased an all- round improvement in critical areas namely profitability and NPA management. The bank is now fully focused to increase its size of the balance sheet and assets. The government’s recapitalization plan will also support us to navigate Bank towards better profitability in the next two quarters. Rs. 337 crore in Q2 of last year to Rs.23 crore in Q2 of FY 18. 3. The cost-to- income ratio of the bank has seen drop from 62.12% to 48.06% YoY. 4. Bank has maintained the CET1 capital ratio at 7.17% in Q2 as against 7% in June 2017. Quarters, the net addition to NPAs has been less than the total reduction in NPAs.